Is it worth the effort to make the switch from paper or simple fillable electronic forms to a fully automated system in onboarding? In the restaurant industry, it can make a big difference. Here are five smart reasons to automate your restaurant’s Federal and State W-4 forms. In a fast-paced industry that faces challenges with hiring and turnover, every hour spent on paperwork drives no value for your organization. Getting new hires onboard with automation of tax forms and other new hire documentation speeds ROI for each hire. The savings add up quickly over time! Secondly, for franchises or restaurants with multiple locations across more than one state, having an automated system delivers even greater efficiency. The forms for each location with state income tax are different—and some states have no state income tax. A centralized online system can ensure that the correct forms are presented based on local regulations. New employees often find tax forms confusing. Having a simple wizard-like interface to walk employees through the form speeds up the process of completion, helps enforce common sense rules, and performs all calculations. For example, a new hire should not be able to make multiple, contradictory selections for withholding or forget to electronically sign their form. 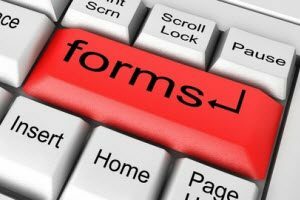 By using automated forms, HR spends less time chasing down new hires and having them correct or redo their federal and state W-4 forms. Furthermore, when you automate your restaurant’s federal and state W-4 forms, you help Payroll get new employees set up in the system faster. A good onboarding system is always one that integrates with payroll system. It should create a workflow to route tax forms to the appropriate payroll processing department without further action required. The quickest way to alienate a new hire is by making an error on their wages. As a result, forms automation eliminates rekeying of information between systems and reduces the risk of errors. In many HR departments, paper forms are inherently insecure. A door or filing cabinet accidentally left unlocked is all it takes to put employee information at risk. Scanning and sending forms electronically to other departments also creates a problem. Many copiers and scanners keep scanned forms in memory on the equipment’s local hard drive. An online, paperless system makes it easier to keep tax forms secure and protects sensitive employee data. Ready to automate your restaurant’s federal and state W-4 forms and the rest of your onboarding process? Take a virtual tour and learn more about how we can help.